Imagine a sport that takes you to beautiful, wild places; over craggy hilltops, through mountain tarns, along rugged coastlines and across glittering lakes. Now picture doing all of that with friend by your side - two trailblazers together in the world of endurance sport. 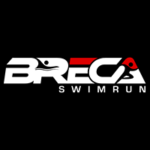 Welcome to Breca, a series of extreme SWIMRUN adventure events. Join us to swimrun in some of the most challenging landscapes in the UK and New Zealand.